The nation’s largest Muslim civil rights and advocacy group is asking authorities to investigate vandalism at a Virginia mosque as a possible hate crime. 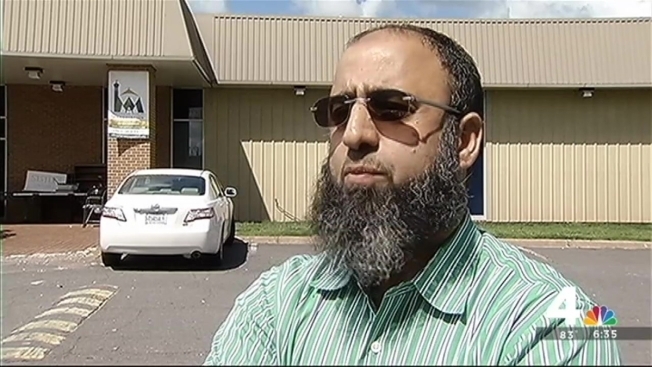 The Council on American-Islamic Relations (CAIR) said an official with Manassas Muslim Association reported heavy copper air conditioning pipes at the mosque were cut Monday as worshipers finished morning prayers. Worshipers heard a strange noise around 5 a.m. but thought it was trash being picked up, Northern Virginia Bureau Chief Julie Carey reported. When the mosque began to warm up, they went outside and found the severed pipes. “Because of the effort required to sever the air conditioning lines, the history of previous incidents targeting the mosque and the rise in anti-Muslim incidents nationwide, we believe it is essential that law enforcement authorities investigate a possible bias motive for this vandalism,” said CAIR National Communications Director Ibrahim Hooper. CAIR said Manassas Muslim Association was targeted by someone yelling slurs while driving by last year. Manassas Muslim Association opened last year. CAIR released a booklet outlining safety measures in response to a spike in anti-Muslim incidents. It suggests individuals and institutions read “Best Practices for Mosque and Community Safety” for further information. CAIR also urges Muslim community members to report bias incidents to police and to CAIR’s Civil Rights Department at 202-742-6420.